Just released! 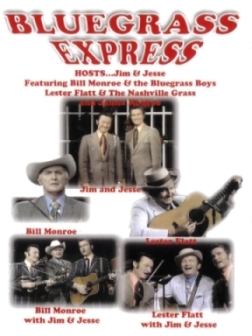 "The Jim & Jesse Radio Shows"
"Songs of the Grateful Dead"
Bill Monroe & Lester Flatt! Showcasing Jesse's grandkids with harmony singing. 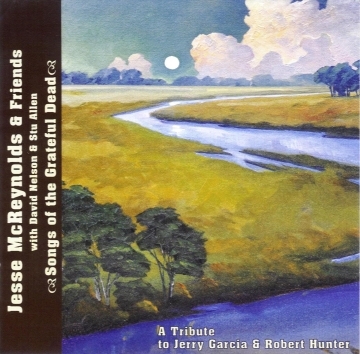 Includes many original compositions by Jesse. 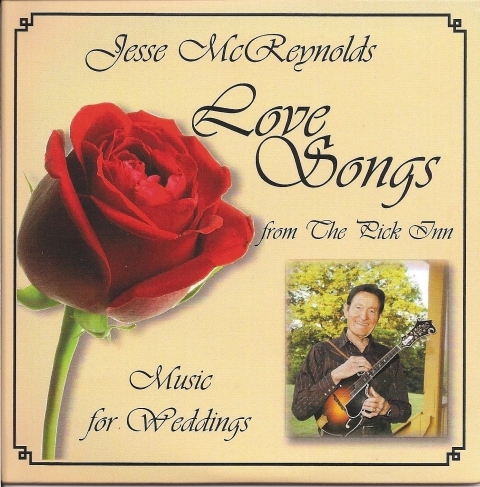 "LOVE SONGS" from our Pick Inn!!! chosen to be married at "The Pick Inn!" *** ALL ITEMS CAN BE AUTOGRAPHED BY JESSE AT NO EXTRA COST. BE SURE TO SEND A NOTE AT TIME OF ORDER. compositions. 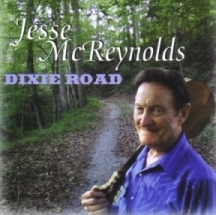 An added bonus is the photo of Jesse in the lane of his old homeplace. You asked for it, you got it! "Berry Pickin'! 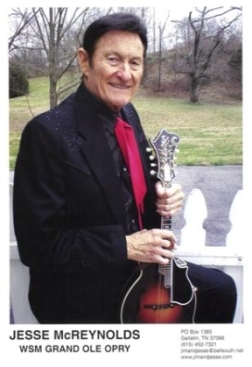 "Berry Pickin' in the Country"
J&J do Chuck Berry's great tunes. Need we say more? Liner notes by Mr. Berry. SHIPPING INFORMATION: All orders within the US will be mailed out next business day, USPS first class. International orders: we no longer fill overseas/international orders. The brother's final project, and a fitting tribute to the late Jim McReynolds. An all time best seller. These are the songs they grew up listening to. An added bonus is the cover photo of J&J's old homeplace in southwest Virginia. WE WILL BE ADDING MORE CD'S, CASSETTES, PICTURES, VIDEOS, ETC. 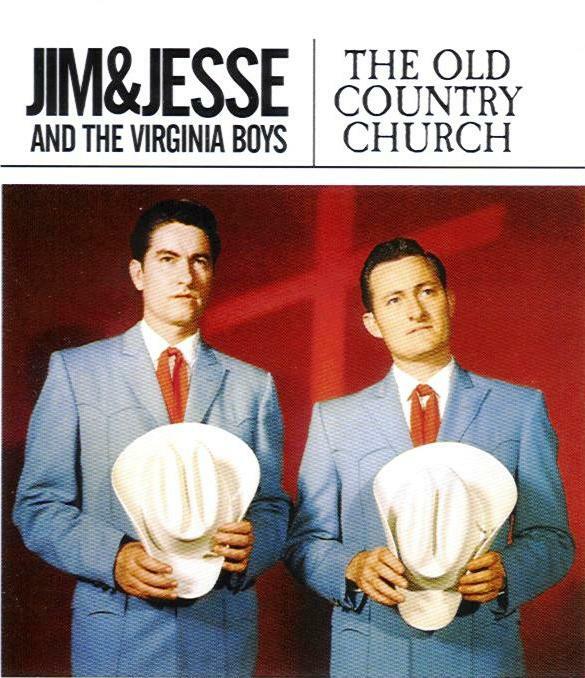 By popular demand, we are proud to offer Jim & Jesse's "Old Country Church" on CD. Recorded in the 1960's and absolutely timeless. A most loved Christmas collection. 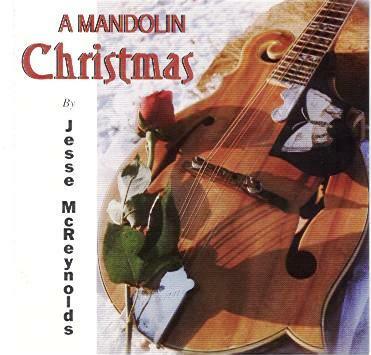 featuring Jesse's amazing mandolin playing. In the finest Brother Duet tradition! 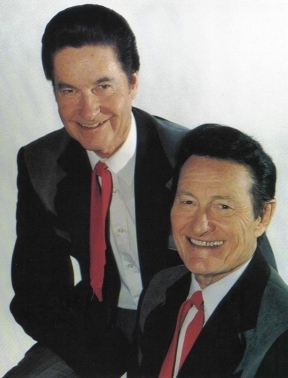 "A Tribute to Brother Duets"
(read full review >>) "A Tribute to Brother Duets"
Jesse McReynolds teams up with Charles Whitstein in a tribute to their own brothers and other great brother duet teams in history. 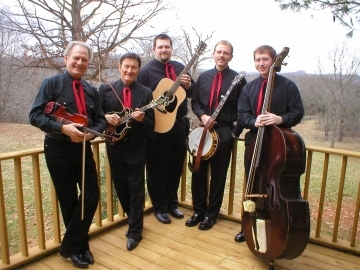 Jesse pairs with "The Mad Fiddler", Travis Wetzel and Banjoist Lloyd Douglas, among others. 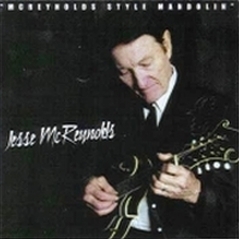 IBMA Nominee for Instrumental Recording of the Year in 2005. A "desert island disc" if there ever was one. 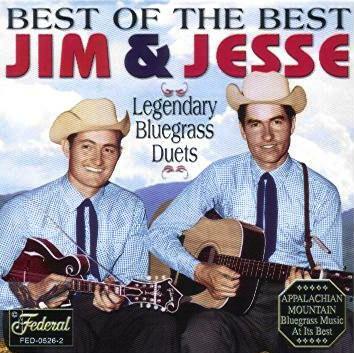 Features the classic Jim & Jesse sound. If you can only get one, we suggest this one! 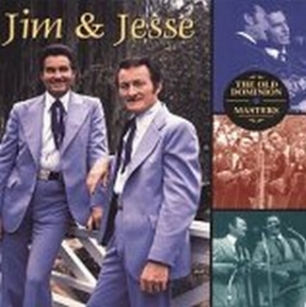 "The Old Dominion Masters Box Set"
There came a time when Jim & Jesse said we want to record our music OUR way. They started their Old Dominion Record Label and these are quite a few of best-loved songs they created. A wonderful collection. 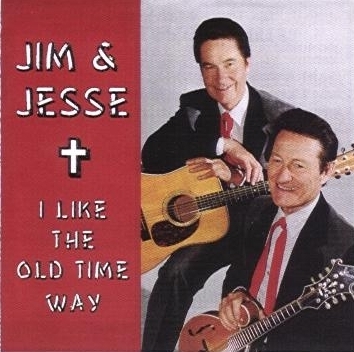 "I Like the Old-Time Way"
Jim & Jesse released this on their Old Dominion label. This will be hard to find elsewhere. 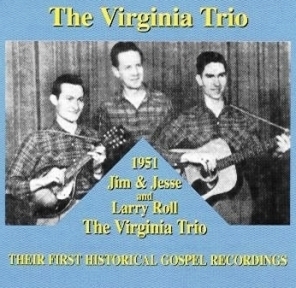 Another gospel CD from J&J's Old Dominion label. 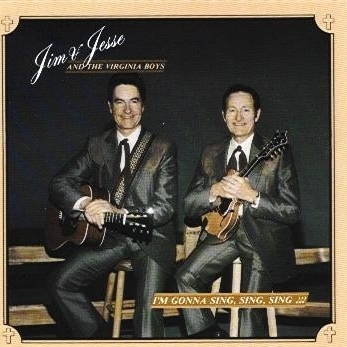 This is a real classic, and best selling gospel collection ever done by Jim & Jesse. 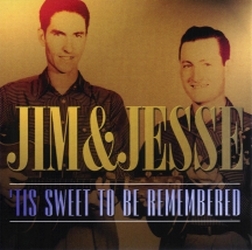 Jim & Jesse "1952 - 1955"
This is a double length recording of some of the brothers' finest. Jesse shines as a budding songwriter here. 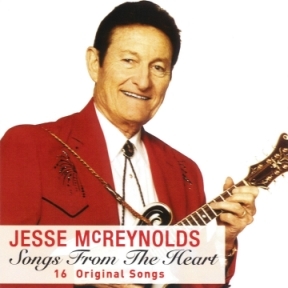 Jesse shines as the fine songwriter he is on this recording. Some special guests perform with Jesse on this. A great collection of fine songs by a master tunesmith. 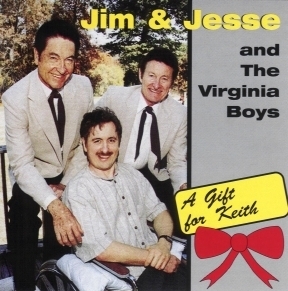 A great collection in memory of a great man and musician, Jesse's oldest son, Keith. 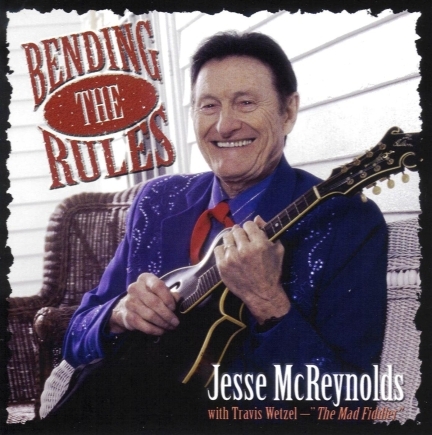 Jesse's love for the fiddle shines on this all-instrumental recording. 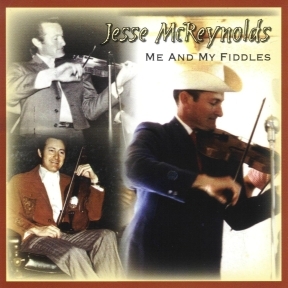 Many don't know that the fiddle was Jesse's first love. And he's quite the fiddler, too! 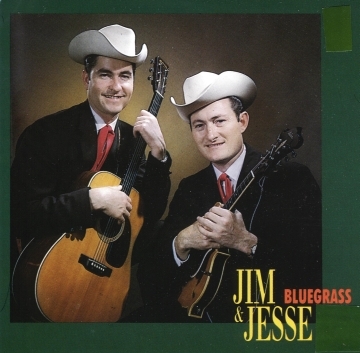 Jim & Jesse's 1st Recording! Some of the sweetest harmony singing imaginable. With Larry Roll. An all instrumental collection. 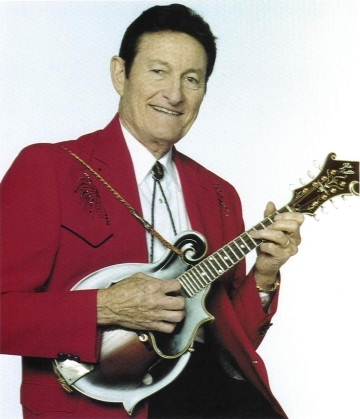 Cross-picking and split-string playing by it's creator. An impossible style, never duplicated. Some of Jesse's most beautiful showpieces are on this one. 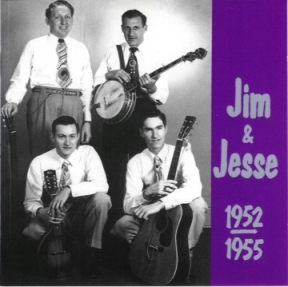 A nice collection of songs from Jim & Jesse's Starday sessions in the late 1950's. OK, they titled it wrong. There is nothing remotely classic about this lesson. 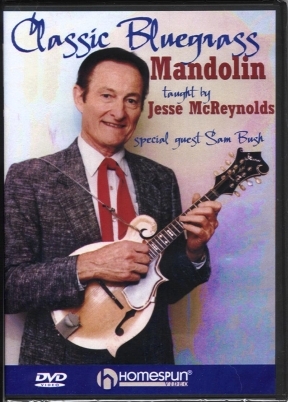 McReynolds invented "crosspicking" on the mandolin and it is beautiful but VERY difficult to learn. You'll need this DVD or take a lesson from it's inventor in person! 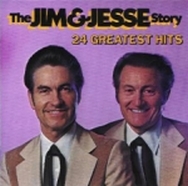 "From their 1970s TV Show"
Great collection of songs as performed on their "Jim & Jesse TV Show". Collector's item in limited quantites and sizes. 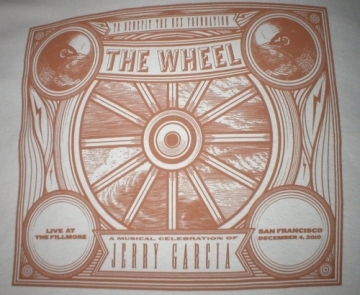 Limited Edition quantities on this collectible shirt. PUBLICITY PHOTOS OF JESSE, OLD PICTURES OF JIM & JESSE, AND MORE BAND PHOTOS COMING SOON! Autographed upon request at no additional charge. 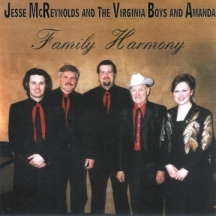 Jesse & the Virginia Boys 2007. Autographed by Jesse upon request. Sorry, you'll have to get the rest of the autographs at their shows! 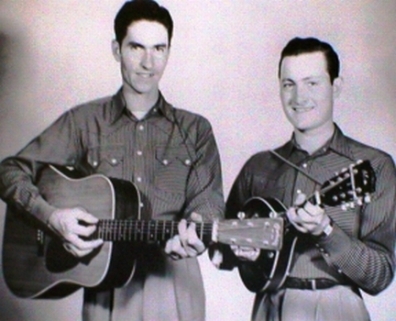 Jim & Jesse when they first started out in 1947. Great old photo, limited quantities. Only in black & white, 8x10. 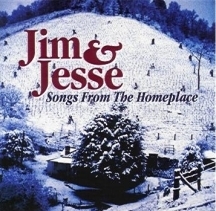 Jim & Jesse in 1997, their 50th anniversary year in the music business. One of their most popular photos. Please note! We no longer fill overseas/international orders.